Often they themselves object to wander the world a rare tour the neighborhood. For example, Albania. When I was a kid, I listened to the stories that Albania was closed, underdeveloped country, and that people are trapped in the past, without being able to move forward. Of course, while I was growing up, I received more realistic picture but I must admit that I still have prejudices when I’m on the wishlist for travel and destinations for this year put Albania. As I toured sporadically in recent years the Balkans, I realized that some phenomena, places, people, … beliefs have not changed since ancient times, even though we live in the 21st century. As it is shrouded in secrecy, the Balkans and causes restlessness and curiosity. This desire to discover the “mystery”, this spring she took me to Albania. We’re going through Montenegro, we journeyed into the path of Ulcinj. Albania borders more with Greece, Macedonia and Kosovo and Metohija. Put not something the old, patched several times, but to Shkodra has about 15 km but not a problem. I’m excited, I do not even know what I expect … When we entered the territory of Albania, I had the feeling that I came to the end of the world. So I guess Albania imagined when I was a child. However, after a few kilometers, I realize that my prejudices easily broken. A sunny day is a wonderful nature along the road. The plan we have done so to get around Shkoder, or to visit him in return. The direction of Durres. From Shkoder road is good, new, has a vehicle, but not crowded. They drive new, good of cars. What simply striking all the way is that Albania is now one big construction site. 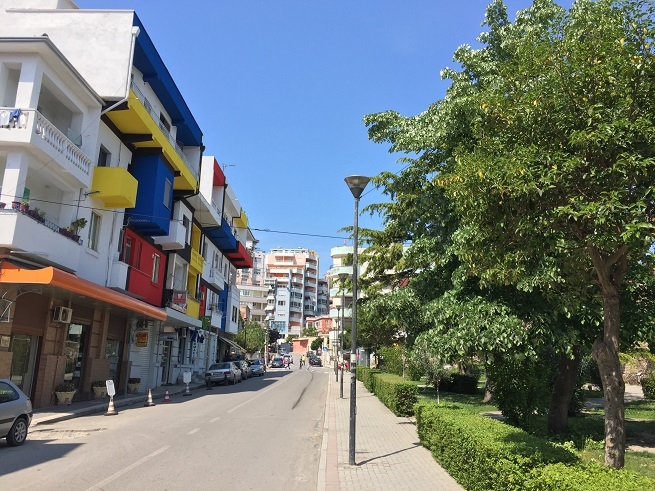 Invested heavily in infrastructure, houses and shops that we encounter along the way are new, tidy, the facades are painted … I do not know what it was a few years ago, but today’s Albania good looks. After 105 kilometers we arrive in Durres. The city and port on the coast of the Adriatic Sea, one of the oldest cities in Albania. At one time it was a very important city. Today you can visit and see the Roman arena of II century. 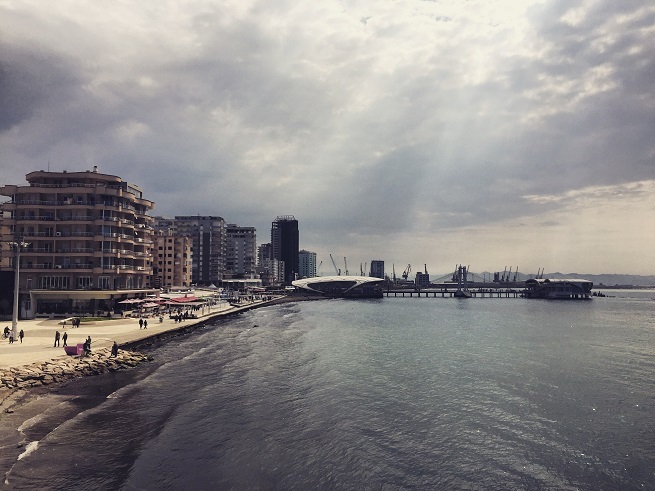 For centuries it was the largest port in the European part of the Ottoman Empire, and when Albania became independent in 1912, Durres became its capital city, and was until 1920. Today it is a modern city that spreads and builds. The old core is well preserved and developed around the old town, a new part with modern residential areas, boulevards and promenades. Ferries daily traffic on the route to Italy. 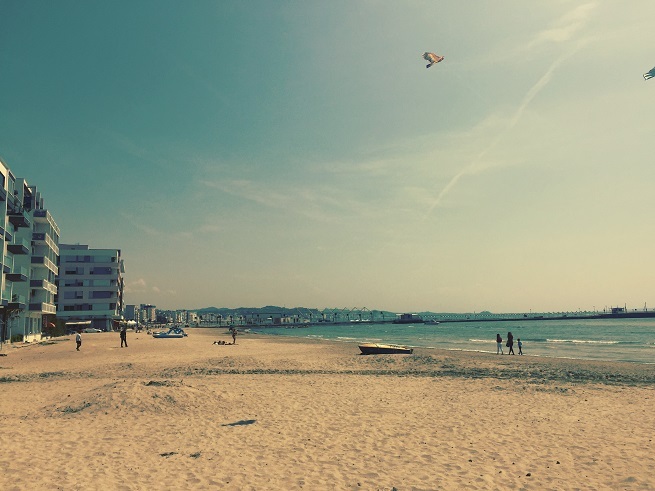 In the southern part of the city, along the sandy beach, hotels were built. Duplicate wells that link to that part of the city, between the palm trees lane, you feel like you are somewhere in developed Europe. Durres is also known for restaurants that offer the most delicious seafood. All this with the hospitality of the local population makes it very attractive for tourists who prefer still insufficiently studied and researched holiday destination. Older people know Serbian language a young speak excellent English. 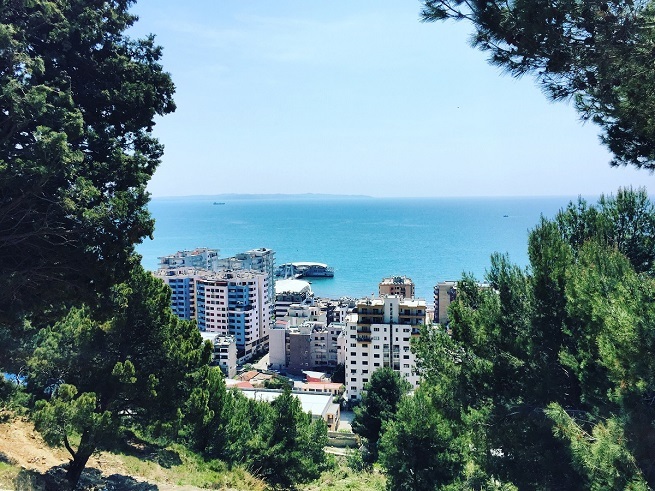 Visits Durres has enabled us to enjoy a completely different destination. I do not know how the years, but here in the spring you can enjoy the pure, primeval natural beauty, clean and peaceful beaches, what we all dream. Choosing the Albanian coast holiday now seems more than logical move. The prices here are slightly lower than in Serbia. 130 ALL = 1 Euro. Similar to us, so you can easily manage the conversion. It only takes good will and without prejudice to go to discover the beauty of the Albanian coast. You will not go wrong. Durres is connected highway with Tirana. The distance between them is 35 km, however, that both of them spread quickly, I believe that in a few years and connect. In the suburbs of Tirana houses and villas that are worth probably as several villages in the city. When entering the city, you feel like you are entering an amusement park. 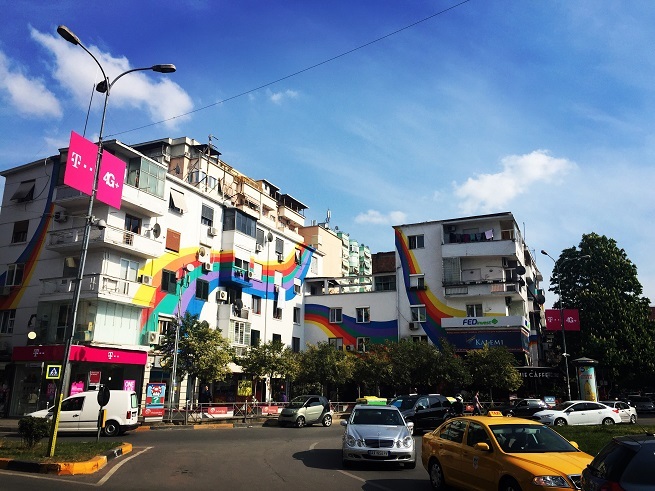 The facades of buildings are colorful, yellow, red, purple, that’s what the city architecture today is proud. Once all the buildings in the city were gray or lost a facade that has affected the general mood in the city. The city and state were closed, there was no money, but with little idea and paint on the facades shattered drab city. Great idea, good looks. 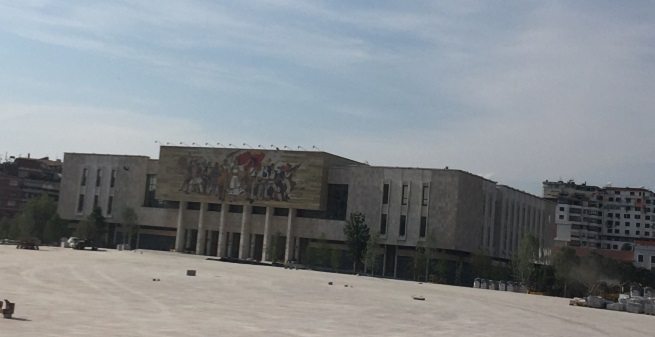 Tirana is a beautiful city. The central city area is neat, clean and washing. The city center is Skanderbeg Square, a place where are located the main tourist facilities. Skanderbeg on horseback, Opera House, Ethem Begova Mosque and National History Museum. The squer is now reconstructed so we just toured and toured over the fence. As for the traffic, not chaotic as I imagined. 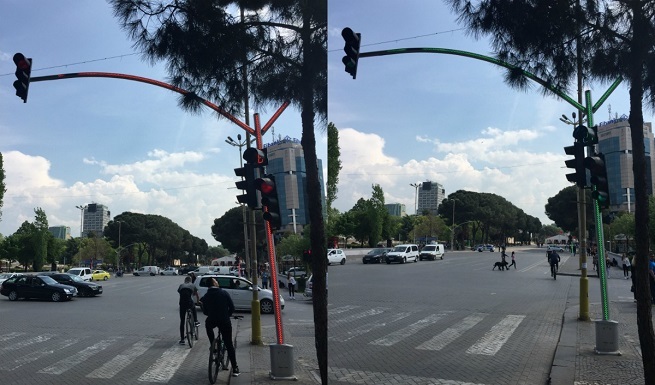 There are interesting traffic lights, which the whole world in red or green. Bicycle riding opposite side, which creates a problem, that is, middle of the road cyclists you go directly to the game and just pass you by. Tirana locals do not differ in no way from the Europeans. Follow trends in dress and modern technologies. Cafes, bars and discos are full of people. Laughter and good music can be heard from all sides. With friends who went with us in this adventure we sat in a bar to have a drink and a bite something. The waiter tells us that a lot of people from Serbia coming to them as the locals this is great, but that guests excellent conduct. In a conversation with the locals, has broken another one of my prejudices about Albania as a hermetic country: freedom of speech here is very strong, and media publicly denounce politicians if one has not fulfilled the promises and expectations of the people. Friends who were with us had already visited this village and conveyed to us their fabulous impressions. However, until you find yourself there, you can not dočaraš this beauty. We learned that Lezhe is catholic village, which was underdeveloped and that the villagers lived in great poverty. 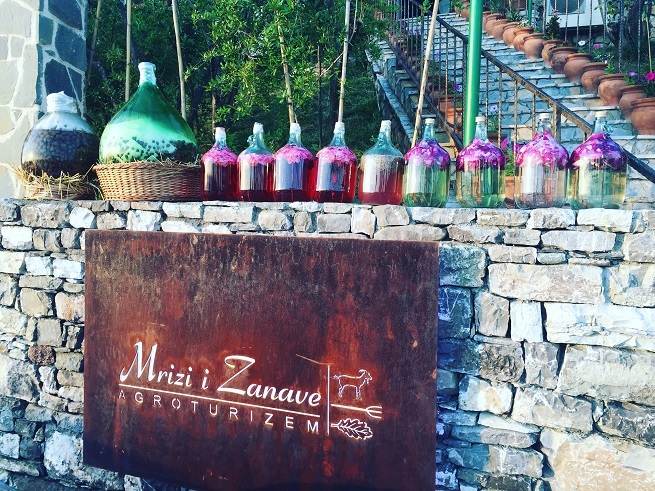 Then the priest made the concept such that each of the seven families engaged in different agricultural activities: viticulture, cultivation of vegetables, grains, animals … This is led to open a restaurant “Mrizi and Zanave” and that all these products on one place. So here’s menu changes four times a year, depending on what happens in this time of year is grown. Wines and beers are homemade, water from wells located on the property. There are no brands that you are in every other restaurant is surrounded and that you serve. Here you are surrounded by beautiful nature, first-class eating food that is grown here, a taste and an arrangement can not be described … You have to see if your travels take you! What is very important to note, and we are in conversation with friendly staff figured out is that the restaurant can not accommodate passengers passer who only ban, there must be reservations with regard to the fact that this place is not done for commercial purposes and is booking required. 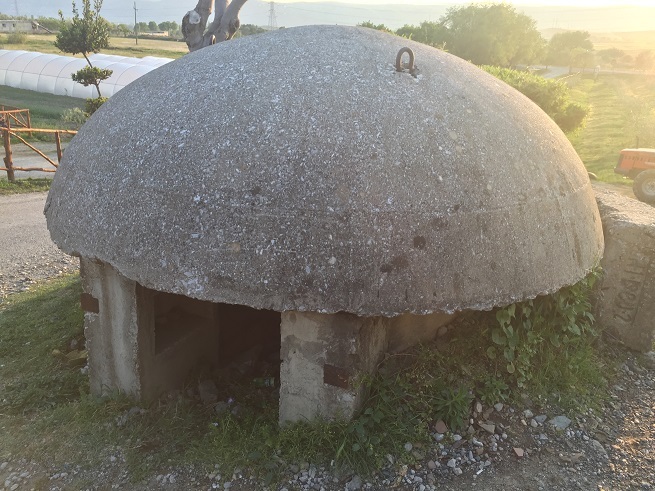 On their possession, you can see the bunker which in this dire time of need in Albania is not much left, and which during the rule of Enver Hoxha was on every corner. After good food go to Shkodra. The first thing you encounter when you go in this direction is the fortress of Rozafa. In Shkoder over Bojana, because of old beliefs come without mother’s milk to pray in the chapel in the tunnel fortress on top of 130 meter high gray walls. What scientists see as sparkling white calcite leaking through the gray stone blocks for the inhabitants of Shkodra centuries meant drops of milk from the breast Rozafa, the wife of Gojko Mrnjavcevic, who live in the walled city walls, sacrificed to the villa would no longer fall. Shkoder is a town where the clash Drim and Bojana and flow into the Adriatic Sea . History Shkoder is very interesting. This is a city where Catholics, Muslims and Orthodox Christians for hundreds of years live in peace. It should be promoted as a wonderful example of tolerance and coexistence. Otherwise, throughout Albania has no religious differences, they are all patriots, all love their country. The town center is a pedestrian zone. Falling night, it becomes colder and we were already tired. It’s time to go home. Albania (Shqiperia) country eagles, so different and so close … I am pleased with our visit to this unusual country. I’m glad I’ve seen what it looks like once completely closed and isolated country. We’re a little walk and look through time and history of the country, which is located in the most beautiful part of the Balkans. P.S. We returned home safe and sound, full of positive impressions.